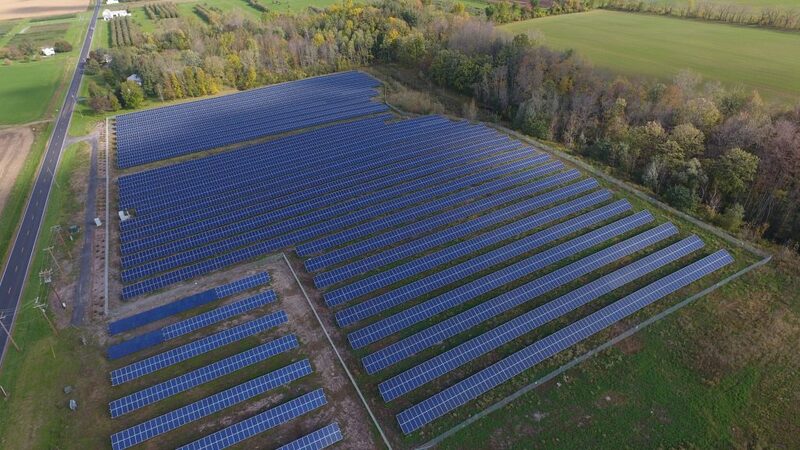 Dynamic Energy recently completed a second ground-mounted solar project for Hobart & William Smith Colleges (HSW) in New York. This project consists of two solar arrays, the first one being built in 2016 and the second in 2018. HWS’s combined 5.3 MWs make the school’s solar initiative one of the largest state-supported solar projects for a New York college or university. This first 2.5 MW project consists of over 7,500 solar panels and will generate more than 3,150,000 kWh of power annually, the equivalent of powering 234 New York homes each year. The second project, a 2.8 MW system located in Seneca, New York. Combined, the arrays feature more than 15,000 solar panels and will support the Colleges’ goal of sustainable higher education by both, generating enough power for approximately 50 percent of the campuses’ electric needs, and by providing students with hands-on experience in clean energy learning. These sites are not only generating a significant amount of the Colleges’ electricity but will also provide experiential learning and curricular opportunities for HWS students. 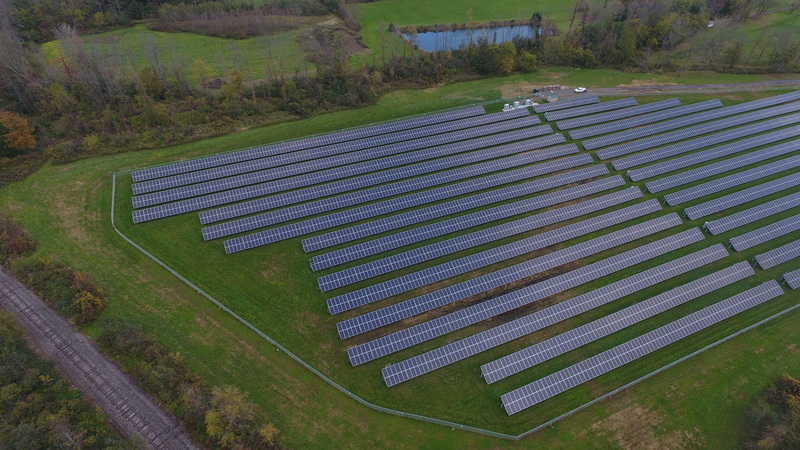 This solar project participates in the NY-Sun Competitive PV Program, managed by the New York State Energy Research and Development Authority (NYSERDA). Dynamic Energy provided full turnkey services, including development, engineering, procurement, and construction. The HWS solar farms mark an important step for Hobart and William Smith Colleges in our work to reach climate neutrality by 2025.